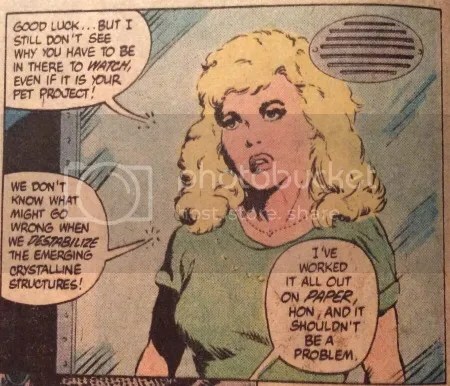 After the drawn out satanic/Karen story arc, writer Dan Mishkin takes the reigns for this two part story. Artists, Bo and Scott Hampton handle the artistic duties. 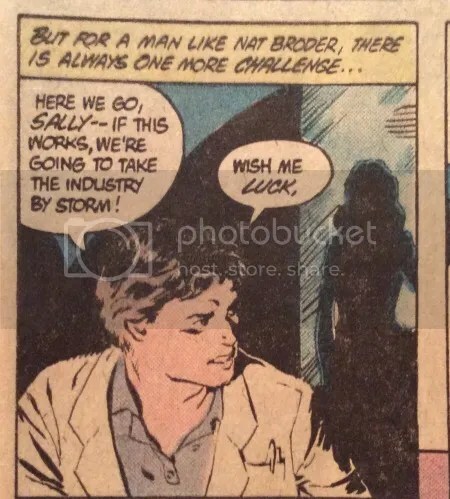 Wealthy young scientist Nat Broder is taking the silicon chip technology field by storm but the technology will have the last laugh. While working on a cutting edge experiment, Nathaniel finds himself in trouble. Live by the silicone, die by the silicone is an old saying I’m sure someone says… somewhere. 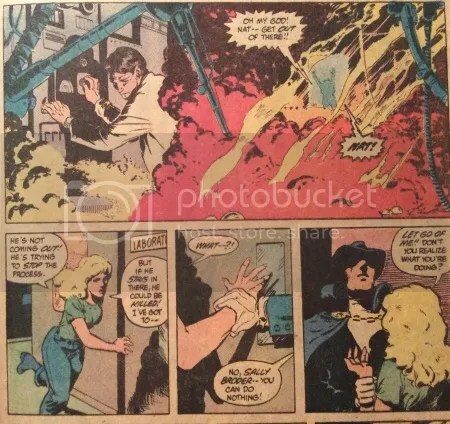 Phantom Stranger drops by to stop Sally Broder from sharing Nathaniel’s fate. 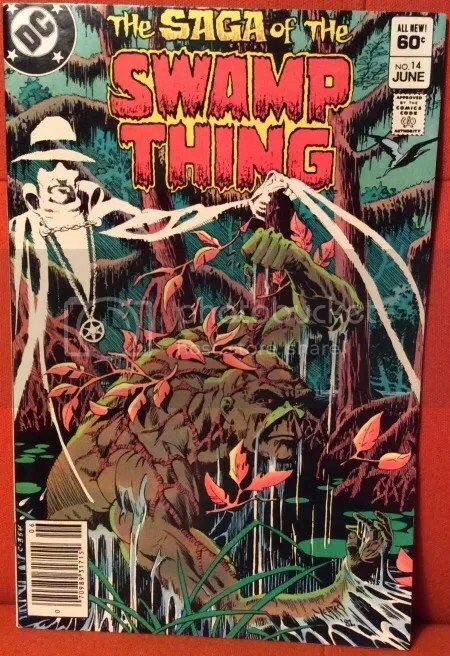 Last time we saw Swamp Thing, Liz, Kay and Barclay they were back from Germany in the Louisiana swamps. 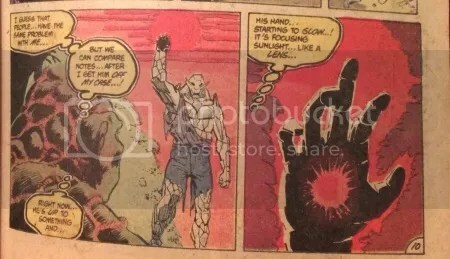 Swampy is back to full health looking for some peace and quiet for once. 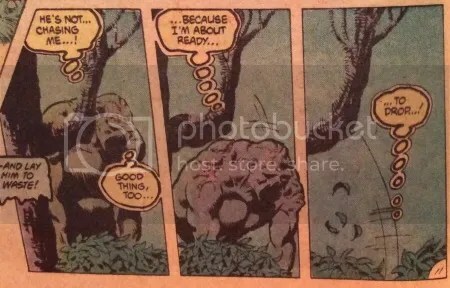 But, as we’ve seen in previous issues, arcs and series, Swamp Thing can never find peace nor quiet. After the botched silicone experiment, Broder’s men attempt to sweep the problem under the rug. 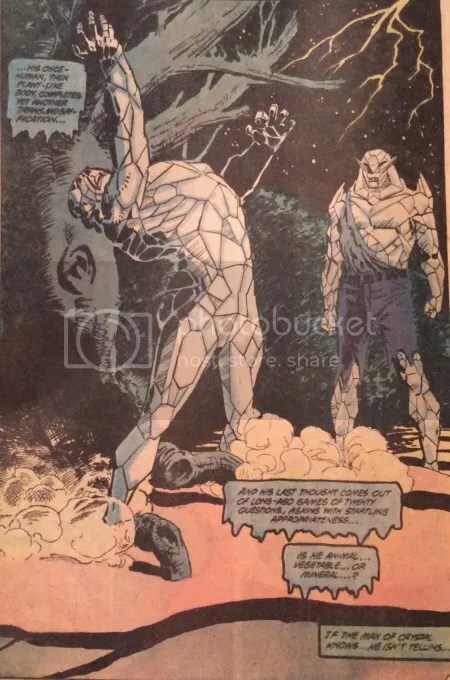 Broder in a barrel, Broder as a crystalline monster. He’s a biproduct of his botched experiment. 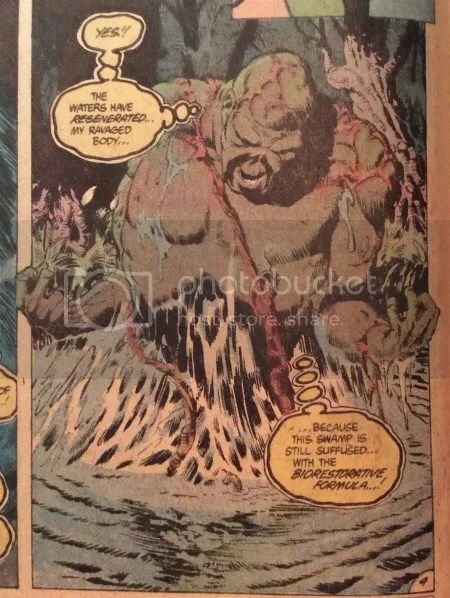 Swampy encounters Broder who had been inadvertently dumped into the swamp by his cohorts. 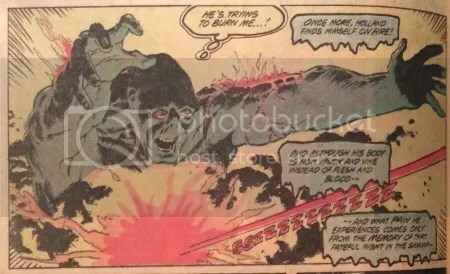 Broder blasts Swampy forcing him to retreat and regroup. the silicone based toxic waste starts turning the swamp into a desert-like environment drying up the plants and turning the water into sand. 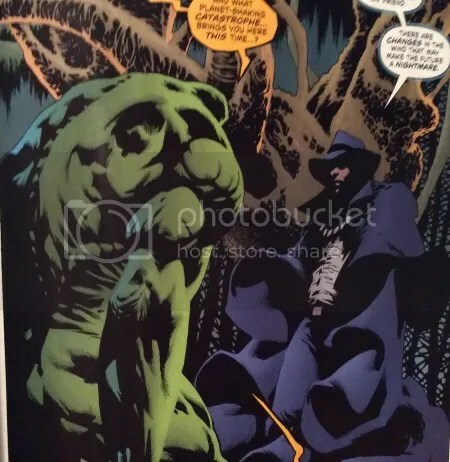 Swamp Thing is able to evade the aggressive transition and in doing so, runs into Phantom Stranger. 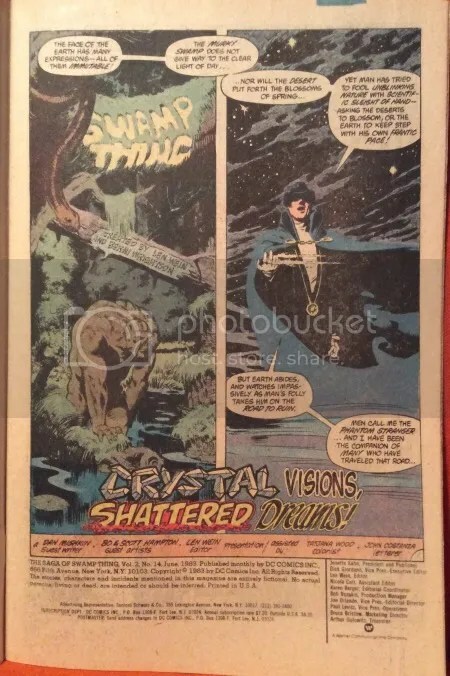 Although Phantom Stranger had numerous short stories in the back of previous Swamp Thing issues this is the first time they meet*. 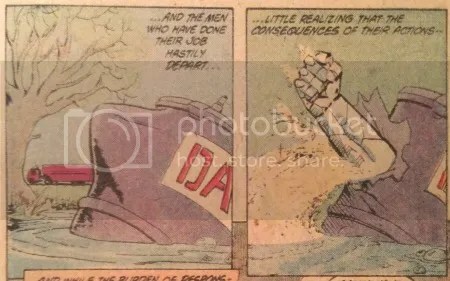 While re-reading this issue, I couldn’t help to think about their recent encounter in Swamp Thing #1 (2016), the two images below. The staging and scenario are similar. 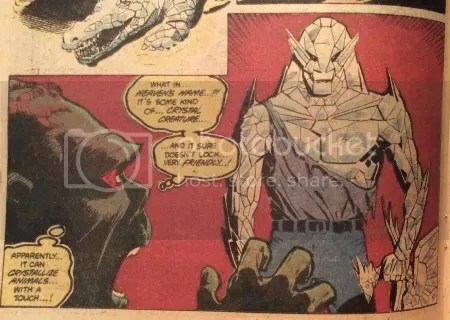 I asked Kelley Jones about the similarities and am still waiting to hear his response. 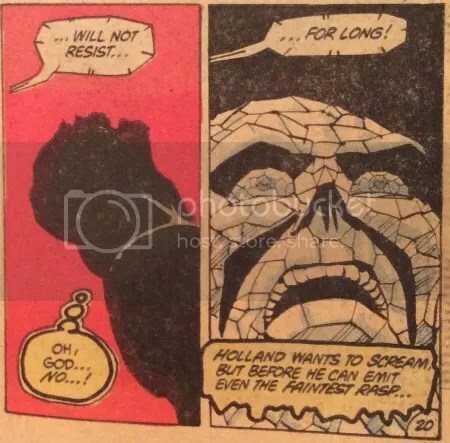 Regardless, it’s a pretty neat homage. 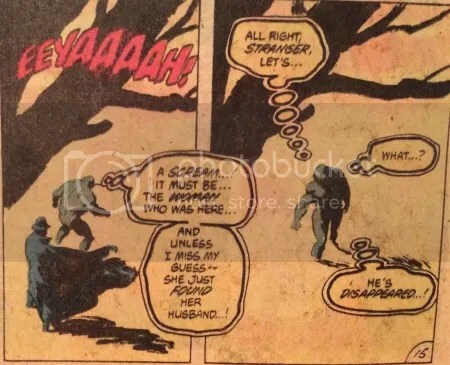 Even after the initial violent attack, Swamp Thing tries to connect with Broder once more, realizing that he had gone through a similar, painful transition. 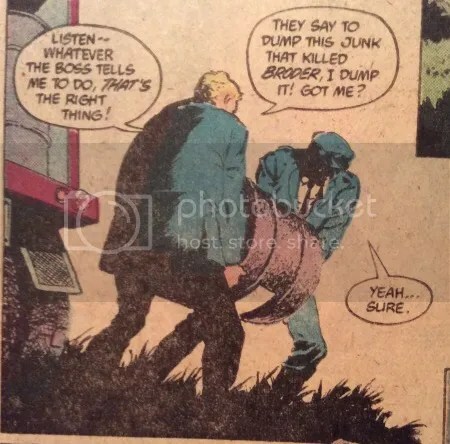 Swampy quickly realizes that Broder has lost his marbles and is hell bent on power. 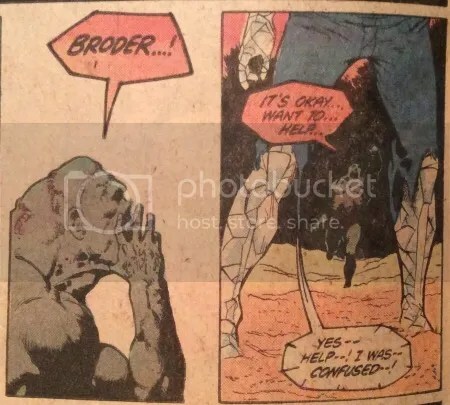 In the midst of the climactic scuffle, Broder puts Swamp Thing in a bear hug turning him into a paralyzed crystal form. 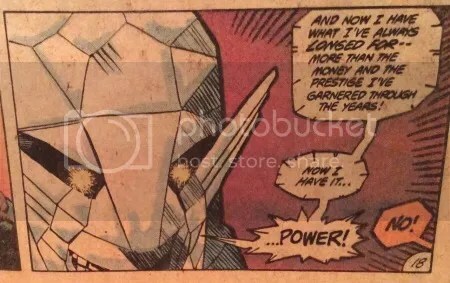 Ha… is he a mineral? 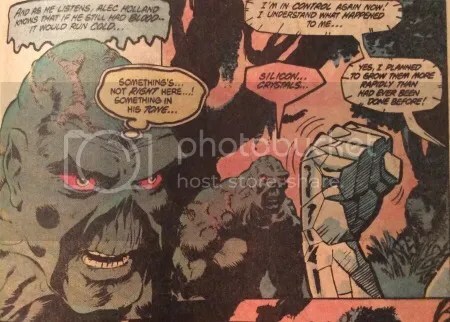 The letters page also mentions the great team of Bissette and Totleben along with the future with Swamp Thing.